“Look to add value first, then everything else will take care of itself.” Allan Hilzinger shows us how to properly approach influencers to look at your opportunity. And also strategies to develop a strong positive mindset. 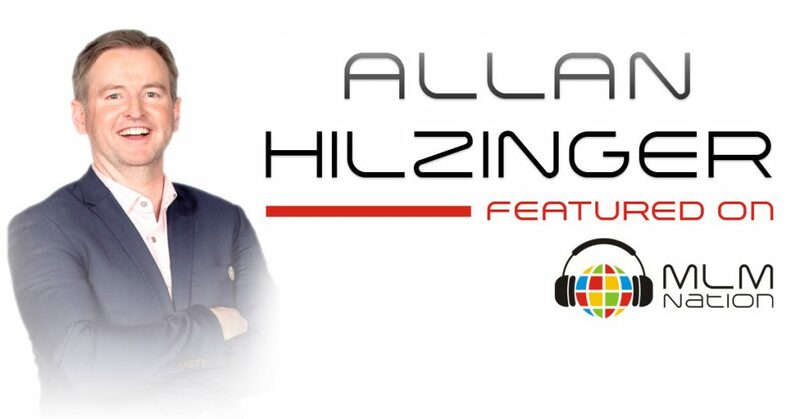 Allan Hilzinger worked for 18 years in the sports management and coaching industry. He’s coached elite basketball in 6 different countries and lived in Japan for 7 years coaching basketball and even starting an own basketball club. Before network marketing he was the CEO of Gold Coast Basketball Association in Australia. Allan had a stigma against MLM but got introduced to some great products in 2014. He loved the products so much that he decided to pursue the business and since then he has taken the profession by storm. He enrolled over 500 people in 3 years and it took him just 6 months to earn multiple six figures. Allan has earned over a million in lifetime commissions in MLM in just 2 1/2 years and he’s won almost every award his company has given out. Allan is also one of the leaders that will be speaking at this year’s NO BS NO HYPE training event in the Gold Coast, Australia on May 12 – 14. Allan and his wife, Lari have been happily married for 16 years and have 2 daughters, 9 and 7 years old.